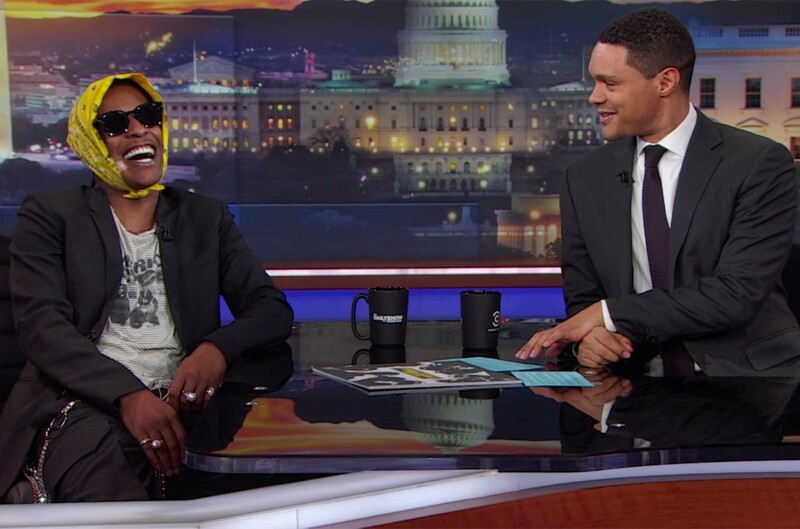 Rapper and entrepreneur A$AP Rocky stopped by The Daily Show on Thursday night (Aug. 2) to chat about the release his highly anticipated upcoming album Testing, his opinion on mumble rap, and the mission behind his new digital creative collective, Awge. The Grammy-nominated artist opened up to host Trevor Noah about his third studio album, which he said has been three years in the making. "To me it seems like this year, especially 2018, hip-hop all the pros and vets, everybody's been dropping albums and they've all been good, you know? And I think it's a great time. That's basically what I was trying to articulate," he said. Rocky, born and raised in New York, then explained to the South African-raised host what makes New Yorkers unique in the rap game versus the vibe on the West Coast or in Chicago. "It's hard to even identify somebody's region rap by the way that they rap," he said. "I don't think that really anyone stands out, even though there's a few artists who have this distinguished New York sound… But yeah, for the most part everybody's music sounds dynamic and you know similar to the other person's in some way, not to diss anybody." Noah then noted that on the new album, Rocky does indeed diss some artists who are a part the Mumble Rap sub genre, which Rocky defended. "I love certain mumble rappers," he said. "It's just oversaturated, you know what I'm saying? Shout outs to Lil Uzi and Playboi Carti. Rockstars." The host also asked Rocky about the "secret organization" Rocky is a part known as Awge. The rapper explained that it's a collective young creatives that work towards changing "the aesthetic and the way things are in culture, music, film, fashion, and art," and that it's "about being ahead and raising the bar." At the end the interview, A$AP gifted Noah with a pair sneakers that Awge and A$AP created in collaboration with Under Armour. "You made my life," Noah said by way thanks for the gift the shoes a month before their debut. "I grew up in world where I'd wear shoes after people," and then turning to the audience he exclaimed, "and now I'm wearing before all y'all!"